Had someone post this on Facebook this morning. I’d never heard of it. 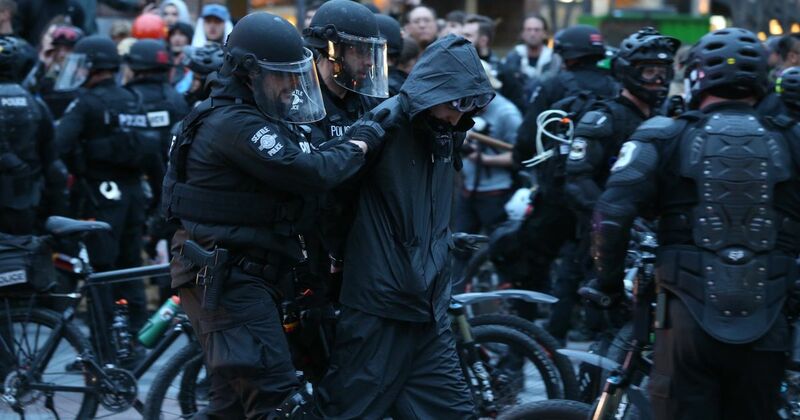 The interesting part is that here in Seattle, May Day is a lovely day of protests which apparently turn into riots from time to time. I didn’t like someone requesting the setting of fires into this already gas-filled-just-waiting-for-a-spark political/social situation. Yes – Faun comes over once or twice a year to a festival I attend – pretty amazing. If you have never watched the original Wicker Man, it would be well worth it., if a bit creepy. To take an off topic discussion further afield… I’ve always been fond of JoCo’s take on the First of May. NOTE: The linked song contains explicit lyrics so you might not want to click on that link at work. Or with young children around. Funny that I just saw this post! That hand-cranked thing is a hurdy gurdy. Never heard of or seen one 'till yesterday. They are becoming more common – especially in pagan and pagan/celtic fusion bands. The one in the video is played by Guilhem Desq from France who often plays with Faun and also has his own band, Zirp. A friend also plays one sometimes in his band, Woodland. I also knew the hurdy gurdy. What is that other thing?